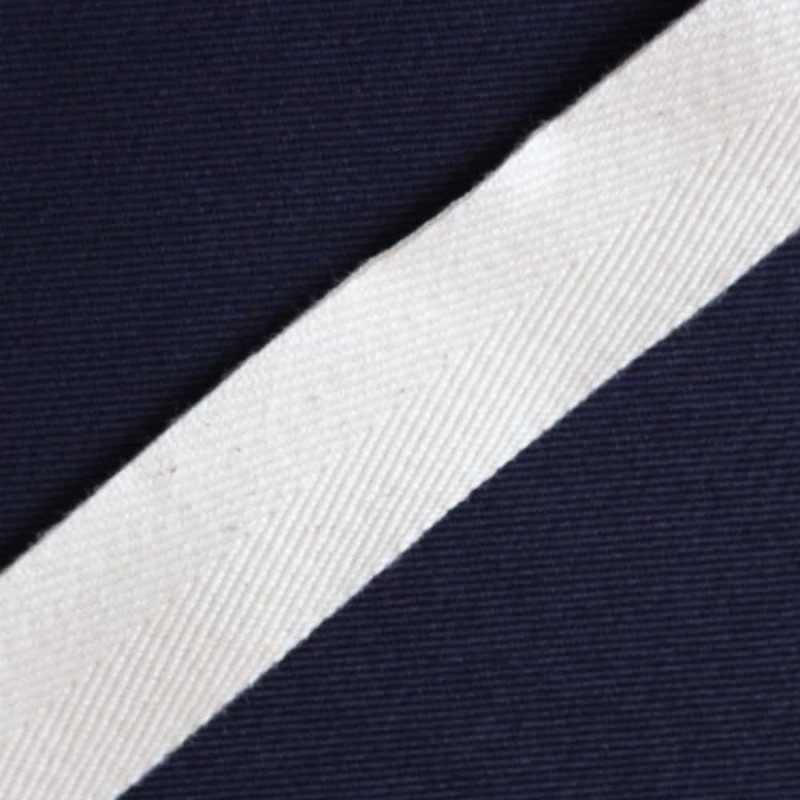 Our TRiCKETT aprons are finally back in stock and ready for your wearing pleasure. Each apron is made in Accrington by Nicki, Paul and their team using the local skills and employing local people. 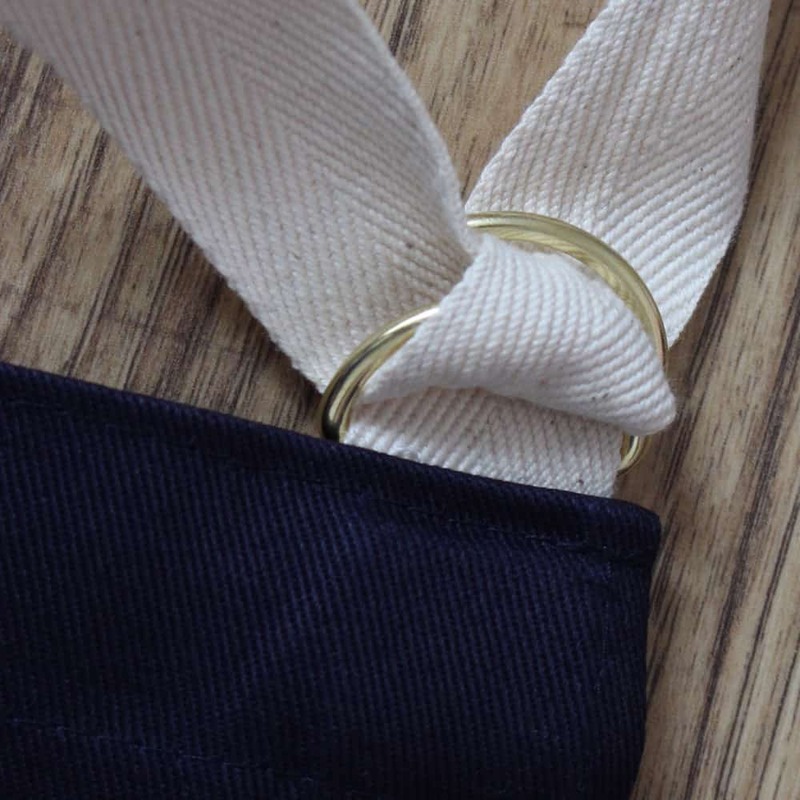 The cotton for the apron, the herringbone tape, labels and brass adjusters are all made in the UK too, helping a supply chain of over 20 businesses to be involved in making a great apron. 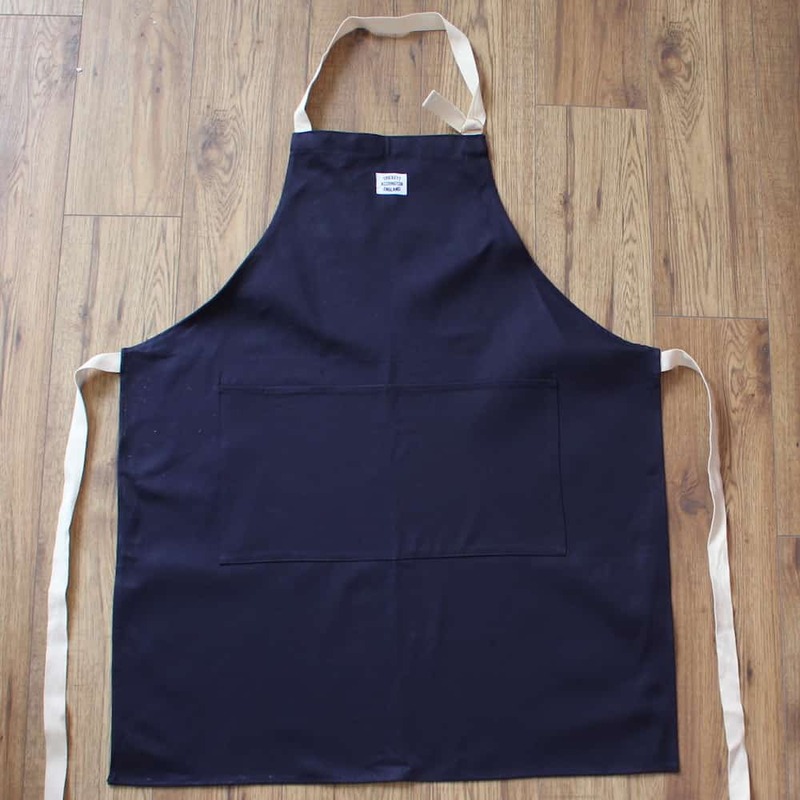 The apron itself comes in a 100% cotton twill that washes well and is robust enough to put up with even the most liberal of spillages. 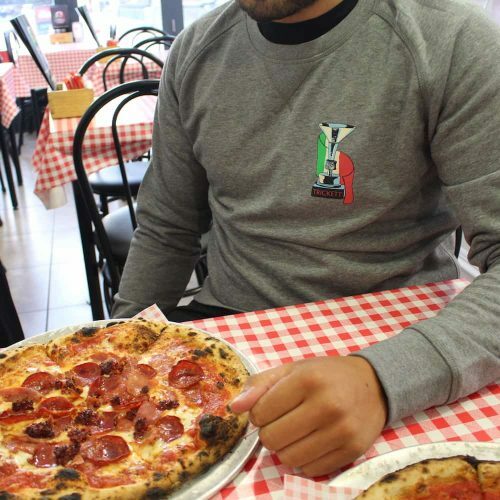 The apron wraps around your legs slightly at the front so you can wipe your hands down the side and not get any tomato sauce on your white jeans (or maybe that is just me?). 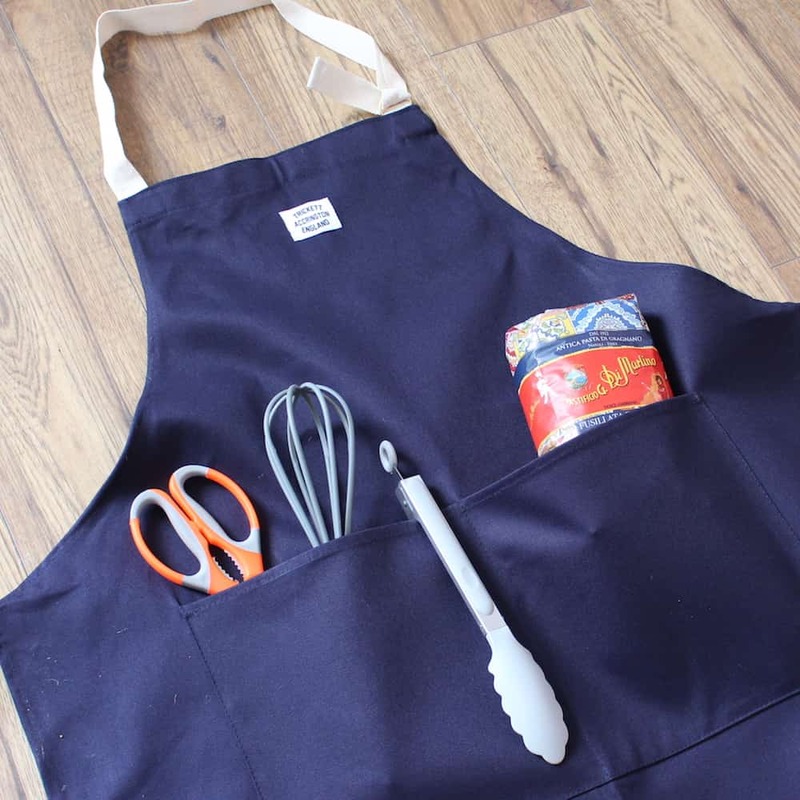 There are two hand pockets at the front for storing your utensils and whatever else you want to keep in there and an adjustable neck for your optimum comfort with brass hooks, because it looks nice. You can also fold the apron in half should you just need a leg covering. Finished with a TRiCKETT label at the front, so people are in no doubt as to who you owe your cookery style to. 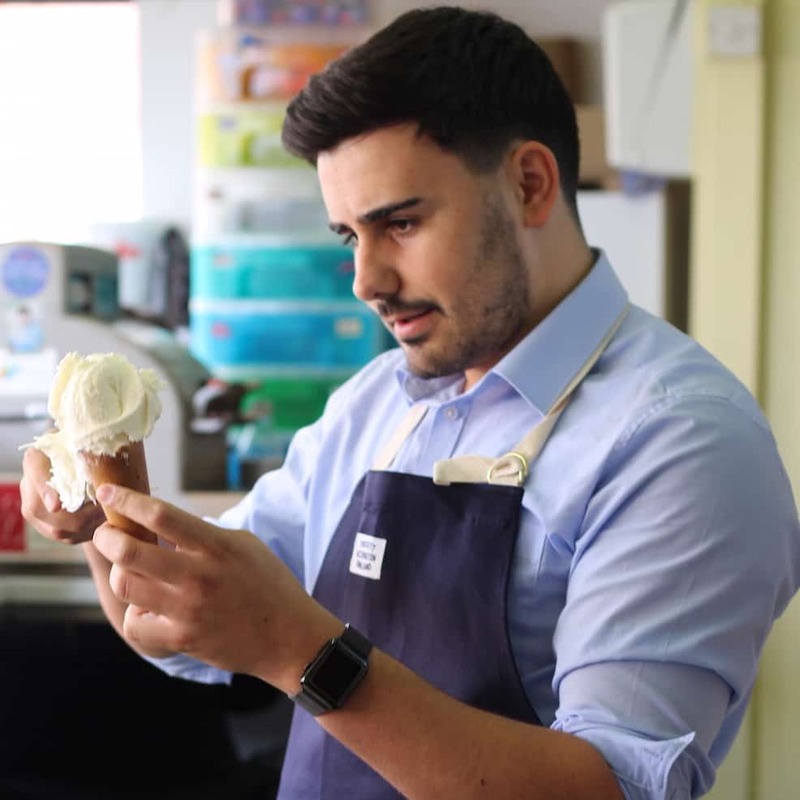 Whether you cook, clean, whittle wood or serve ice-cream in this beauty, £17 for a long-serving cookery friend is an absolute steal. 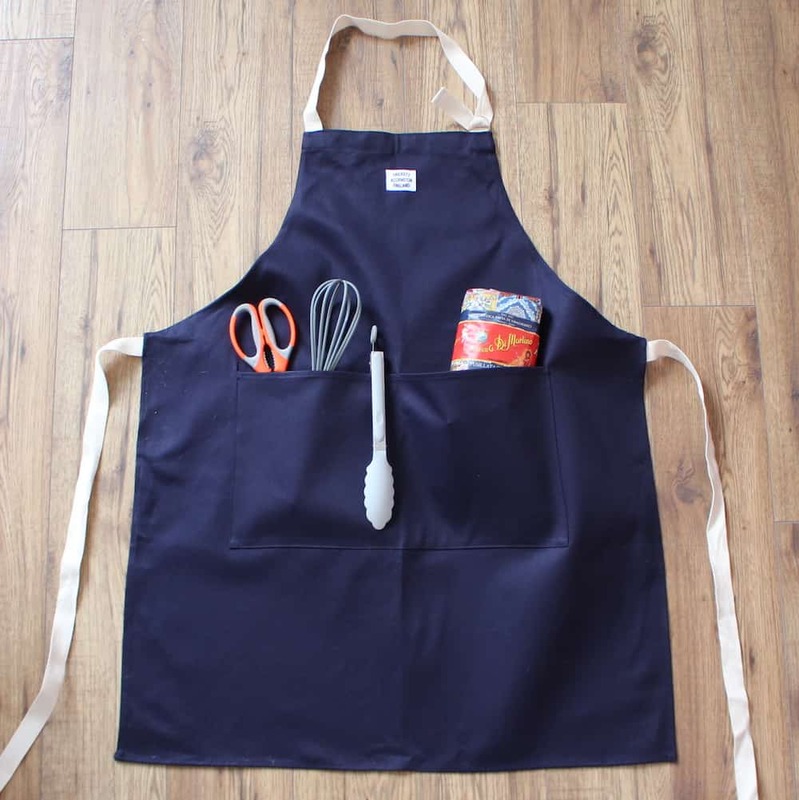 If you are interested, these aprons are available at wholesale and we can even embroider them for your company. So if you want something super swish, get in touch.